Dravsko Polje is an alluvial plain of the river Drava, in north-eastern Slovenia. The area is administratively divided among twelve municipalities, each one with their individual rights and responsibilities in managing land use policy and wastewater. In addition to state regulation, municipalities have the right to enforce decrees on water protection zones for small water resources of local importance. The aquifer supplies all the drinking water in the area, through six drinking water systems. The area is suitable for intensive arable and livestock production due to the favourable climate, flat relief, structure of agricultural holdings and the size of land parcels. However the soils are very susceptible to nutrient and pesticide losses and leaching into the groundwater. Regular state monitoring is implemented by Slovenian Environmental Agency (ARSO) and by drinking water supply companies in Ptuj and Maribor. The shallow aquifer is contaminated by nitrates and pesticides, mainly from livestock farms and intensive arable land management. Measurements at wells show that nine out of twelve do not fulfil quality standards on nitrate for clean drinking water, while six extraction points do not fulfil quality standards for pesticides (atrazine, desetil-atrazine, metholachlor). The deep aquifer is practically free of nitrates and pesticides but the recharge rate and area are unknown. Water companies mix water from shallow and deep wells to reach acceptable quality of tap water. Several research and monitoring projects have been carried out in Slovenia concerning groundwater quality and quantity. FAIRWAY opens new areas of research dealing with social aspects of organising multi actor platforms (e.g. water partnerships) as proposed by WFD, where stakeholders associated with the water body can equally discuss environmental and agricultural measures focused on water quality and adopt common decisions that are binding for all parties. 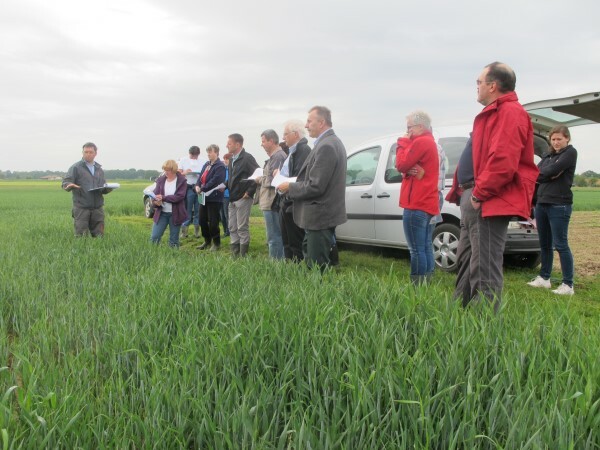 We would like to analyse and learn from other case studies how to improve communication between land managers (farmers), water companies and government.